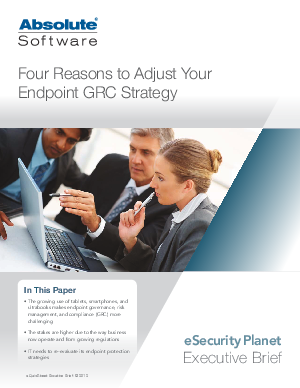 This paper provides the top four reasons to adjust your endpoint GRC strategy. The growing use of tablets, smartphones, and ultrabooks makes endpoint governance, risk management, and compliance (GRC) more challenging. The stakes are higher due to the way business now operate and from growing regulations. IT needs to re-evaluate its endpoint protection strategies.